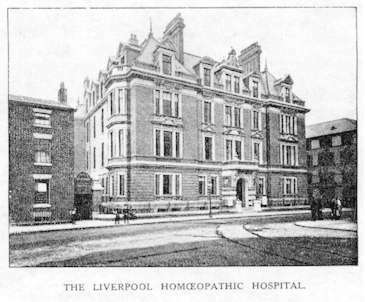 HomeUncategorizedWhat Ever Happened to Liverpool Homeopathic Hospital? Not so long ago, the Faculty of Homeopathy was boasting of five NHS Homeopathic Hospitals. Since then Tunbridge Wells Homeopathic Hospital closed. The Royal London Homeopathic Hospital gave up pretending it was a homeopthic hospital last year and renamed itself the Royal London Hospital for Integrated Medicine where it serves up a mish-mash of superstitious medicine. We learnt this week that Glasgow Homeopathic Hospital has closed its pharmacy that specialised in labeling bottles of sugar pills for customers. It also styles itself the Centre for Integrative Care in Glasgow, no doubt to avoid the poisonous name of ‘Homeopathic Hospital’. Bristol Homeopathic Hospital retains its name but is reduced to an annex building. Liverpool too was reduced to being part of the Old Swan Clinic in Liverpool. But now no mention of Liverpool appears to exist.The Faculty of Homeopathy no longer lists it. The Old Swan Centre web site appears not to mention homeopathy. Indeed, it would appear that Bristol is the only clinic that still exists and dares to call itself a NHS Homeopathic Hospital. So what happened to Liverpool. 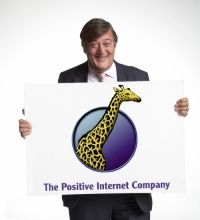 It would be good to mark its demise. But does anyone know what happened? Any info gratefully received. 6 Comments on What Ever Happened to Liverpool Homeopathic Hospital? Very interesting. Another nail in the coffin of taxpayer-funded woo.The Wayback Machine doesn’t have very much, but the Liverpool Swan Centre was certainly mentioned on the <a href="http://www.facultyofhomeopathy.org/about_us/Referring_for_homeopathy.html">FoH page</a> on <a href="http://web.archive.org/web/20100831105401/http://www.facultyofhomeopathy.org/about_us/Referring_for_homeopathy.html">31 August 2010</a>. Even more recently, Gigablast cache shows the Swan Centre listed on the FoH’s website on <a href="http://www.gigablast.com/get?q=url:http://www.facultyofhomeopathy.org/about_us/Referring_for_homeopathy.html&c=main&d=186863715186&cnsp=0">04 March this year</a>.It looks like this has only happened in the last few months. What lovely old buildings, Nancy! I trust they’re being put to better use nowadays? The Royal London Hospital for Integrated Medicine doesn’t provide a "mish-mash of superstitious medicine" – a lot of the builing is now used by Great Ormond St Hospital, and it’s own work seems to largely fall under under psychiatry (e.g. clinics for patients with primary insomnia). The building is also used as an overflow for the National Hospital for Neurology and Neurosurgery. The pharmacy remains a bit dodgy but no more so than a typical ‘hippie’ type pharmacy that you might find in areas where the worried well congregate. I concede that it’s a "mish mash"!